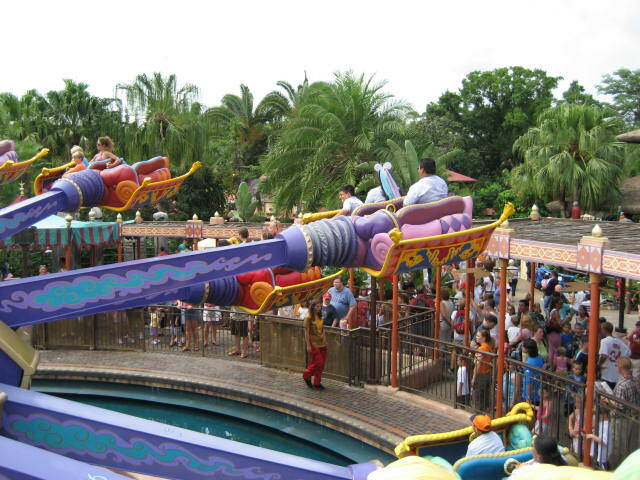 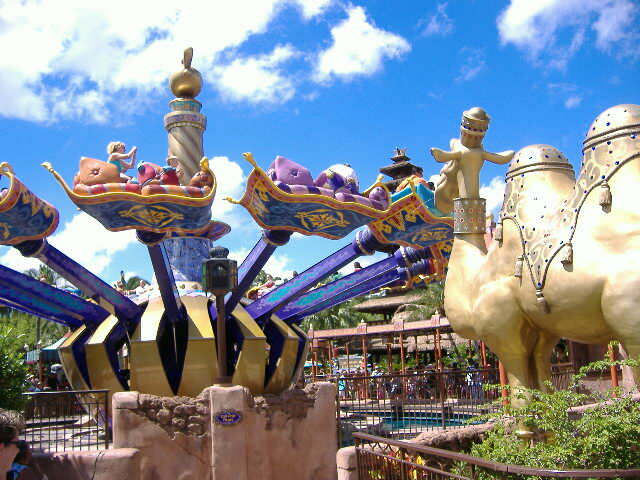 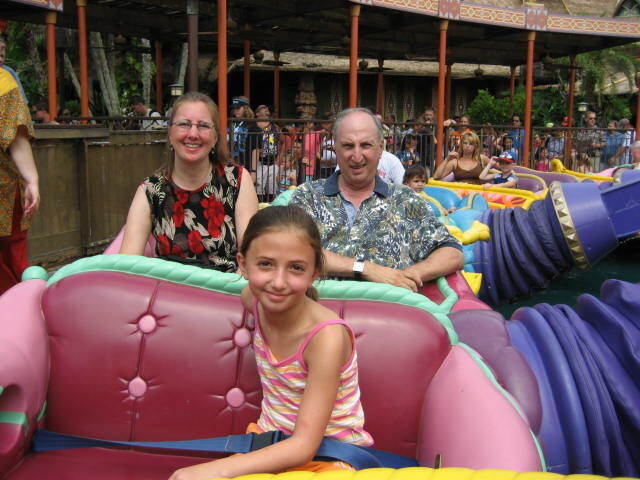 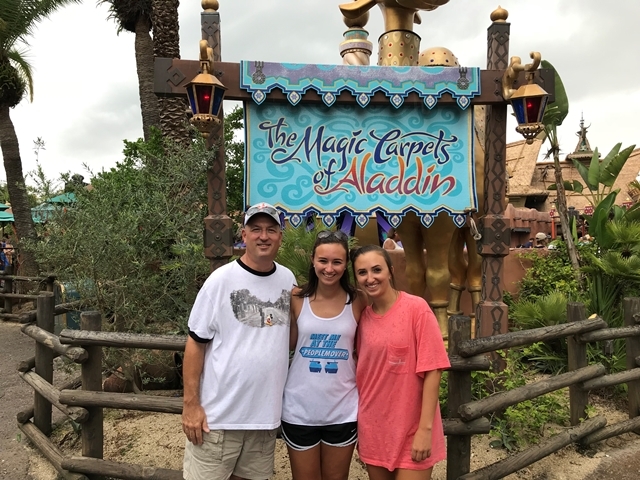 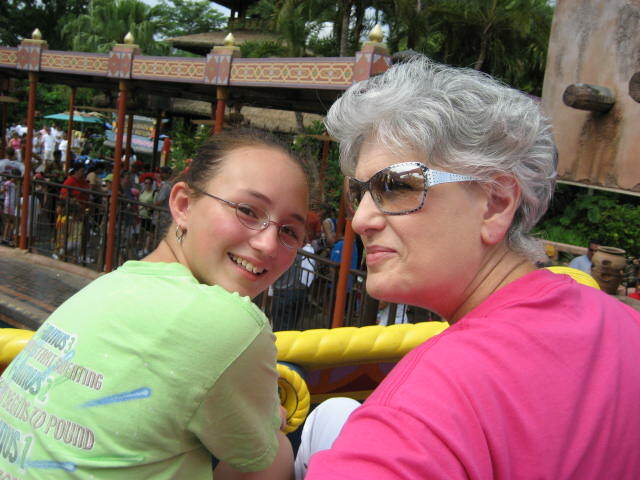 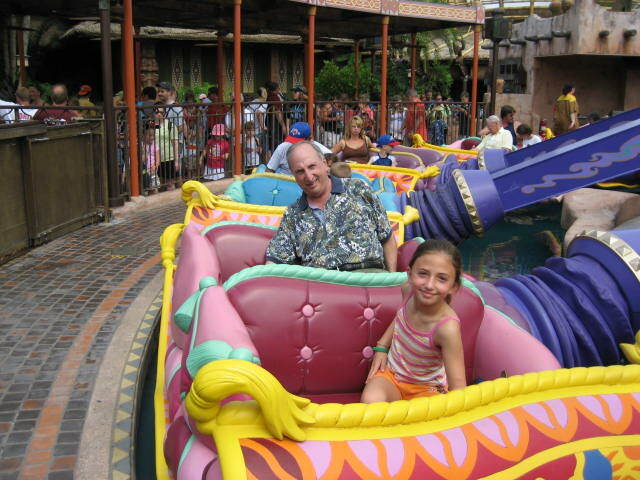 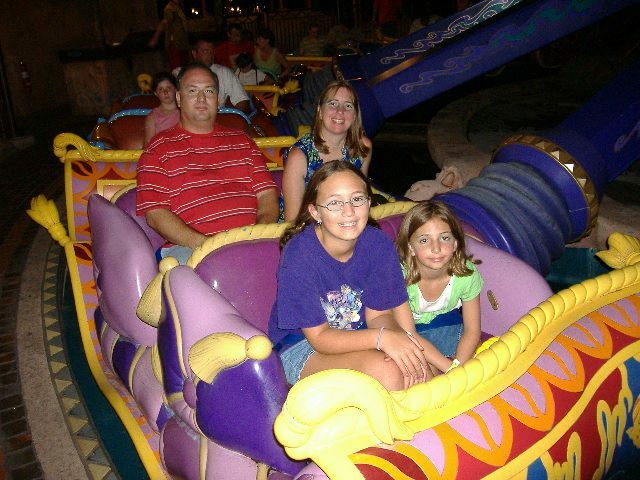 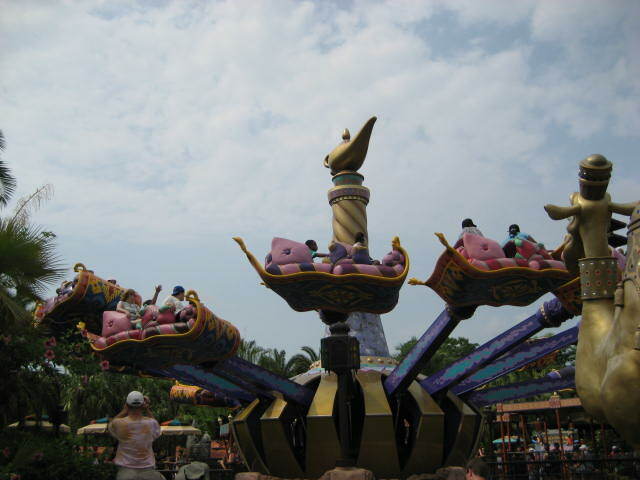 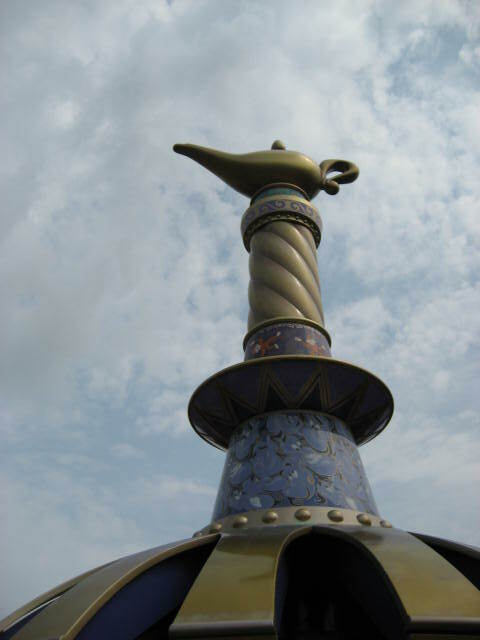 This ride consists of magic carpets that fly around a large Genie lamp. 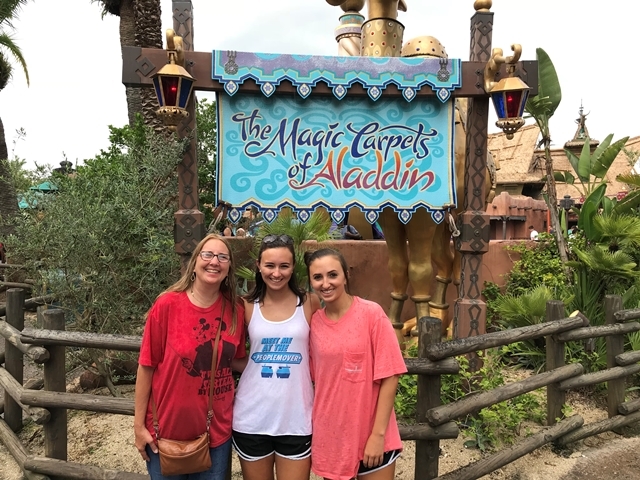 Visitors have control to move the carpets up and down and tilt them from side to side. 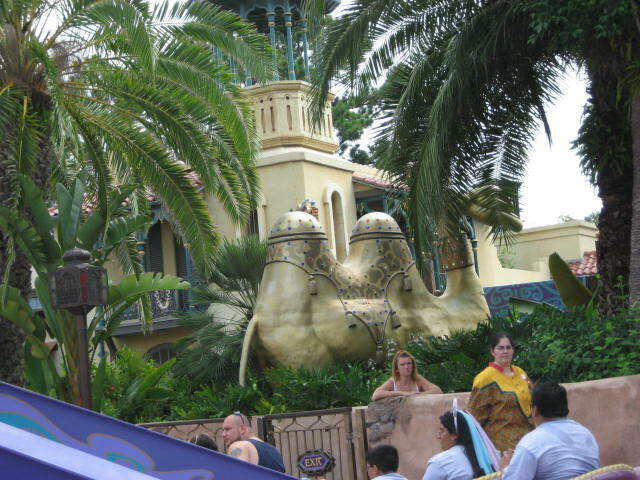 Large camels near the attraction spit water onto the carpets as they fly by. 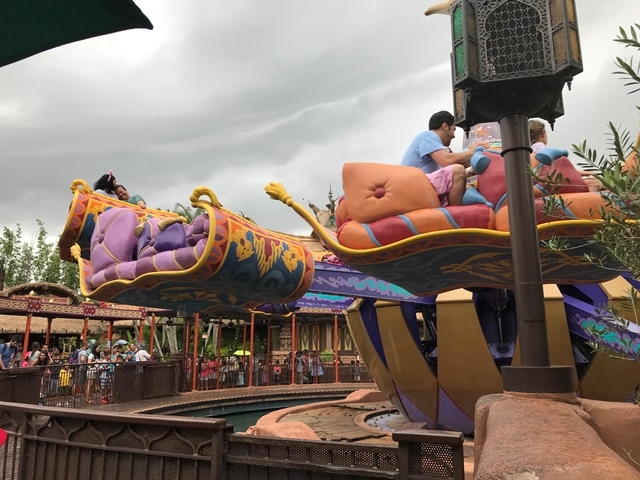 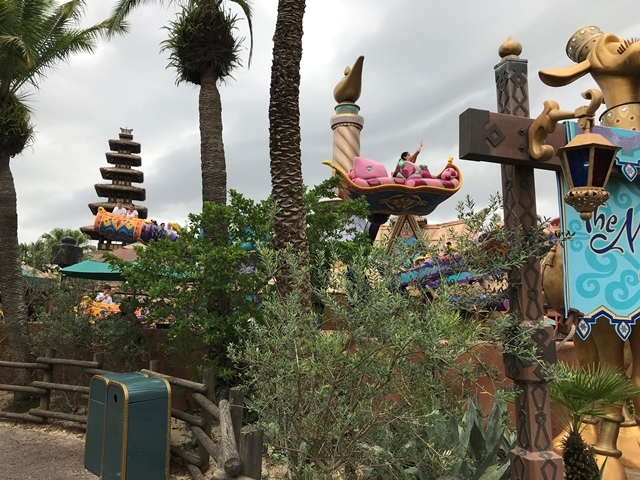 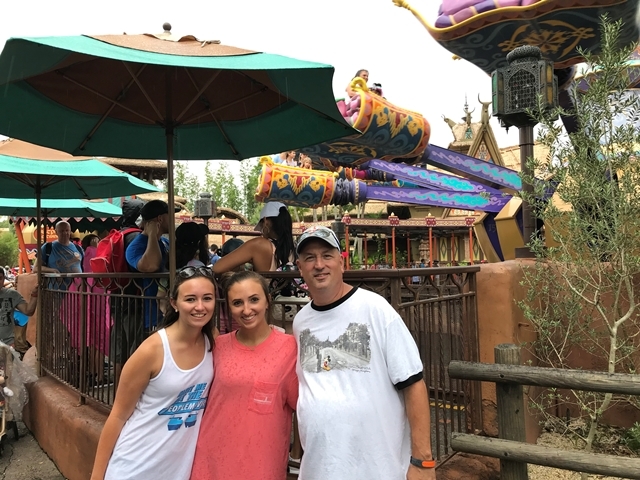 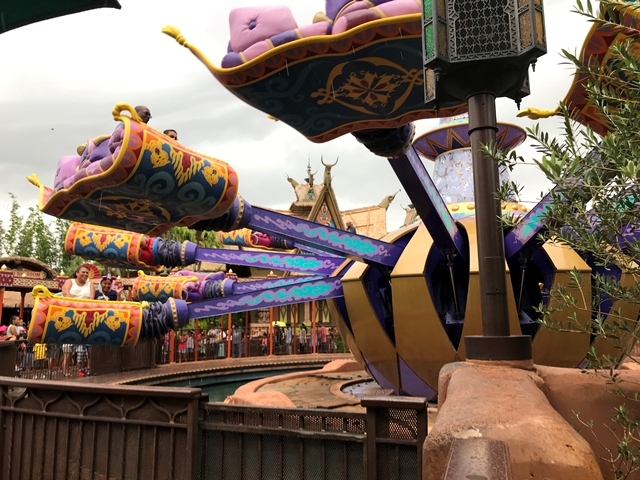 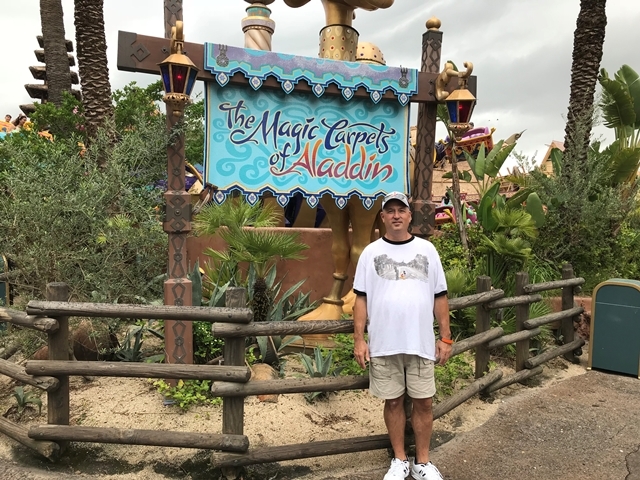 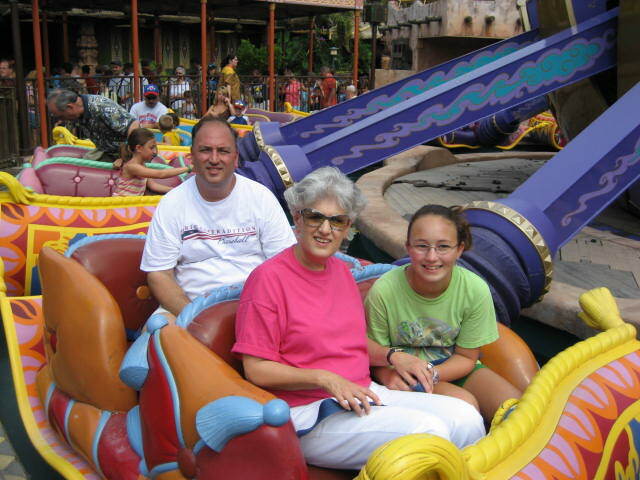 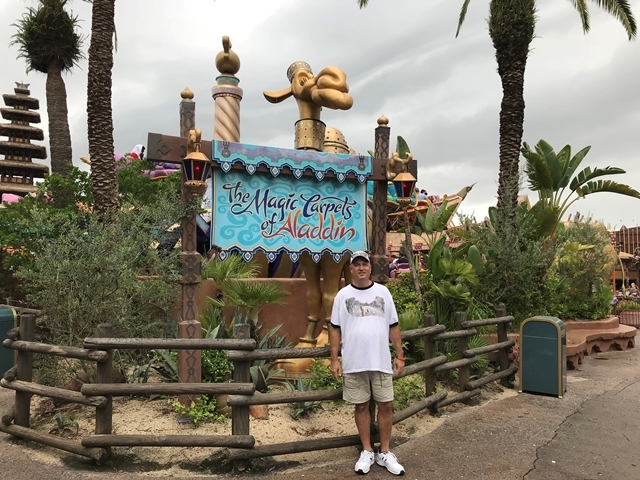 Adventureland makes a fitting home for The Magic Carpets of Aladdin, filled with the wonder of genies, flying carpets, magic lamps and Middle East mystique. 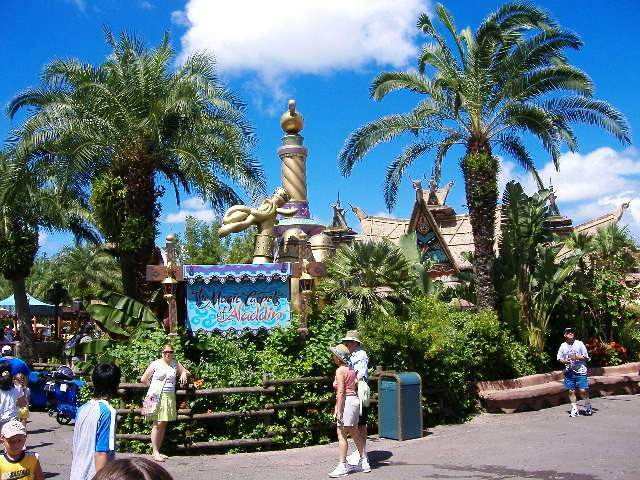 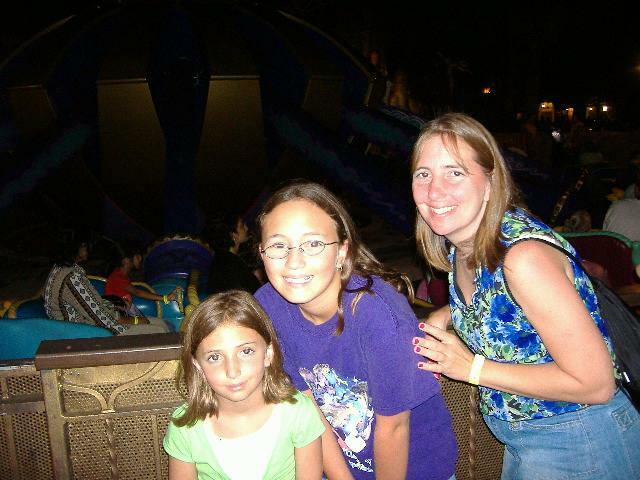 First permanent attraction with Aladdin theme at Walt Disney World Resort. 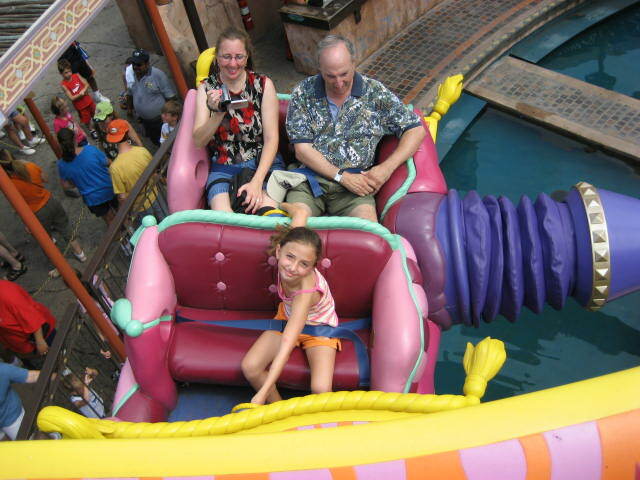 "Hey Megan, how high should we go?" 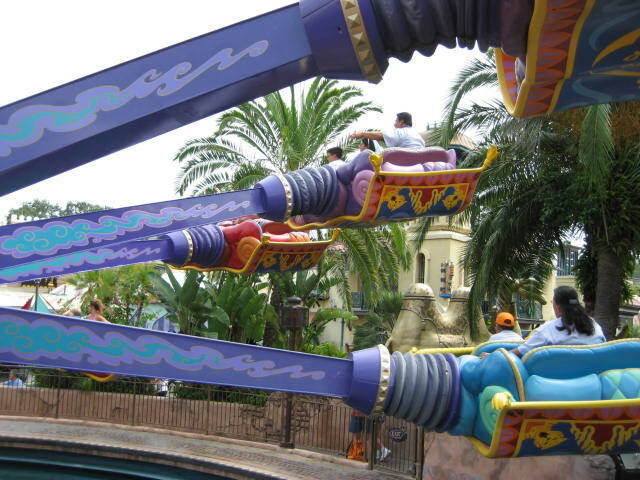 I wouldn't go on this ride if you're afraid of heights. 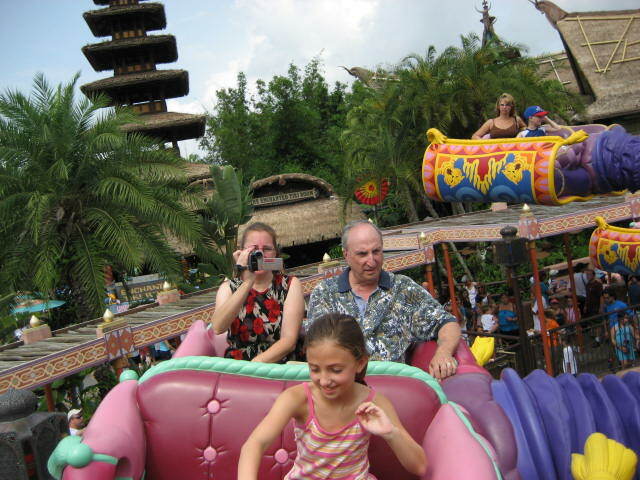 Control how high you go with the joystick in front of you! 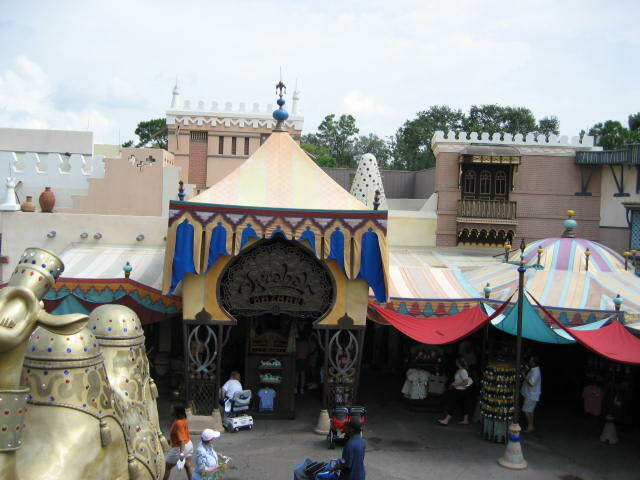 The stores around the ride are just like the shops in Aladdin. 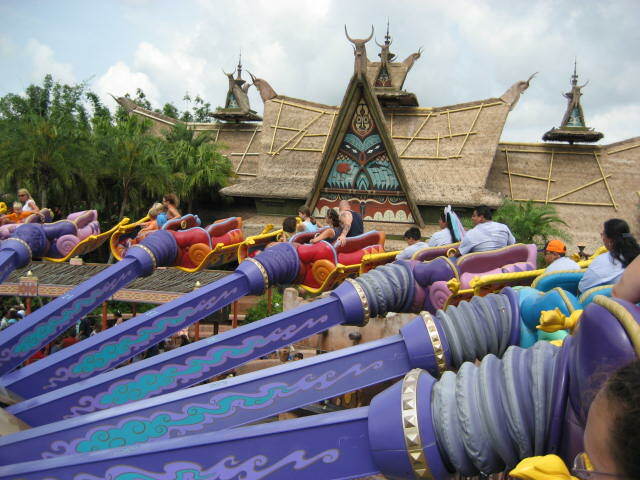 We can't wait to get on!